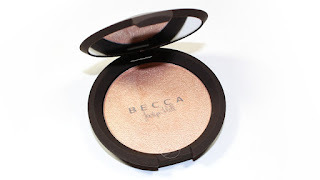 Becca Champagne Pop Shimmering Skin Perfector Pressed (0.28 oz.) 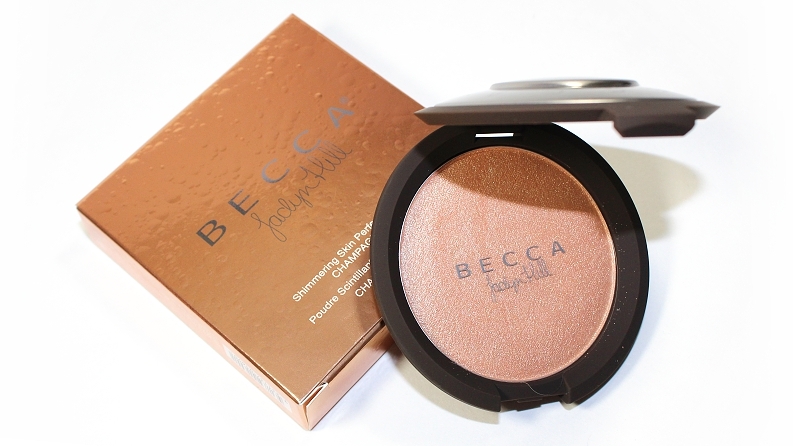 retails for $38 USD ($46 CAD) and is said to be "a limited-edition [permanent as of 01/01/16], creamy, luminizing powder to illuminate the face with a soft, pearlized glow." 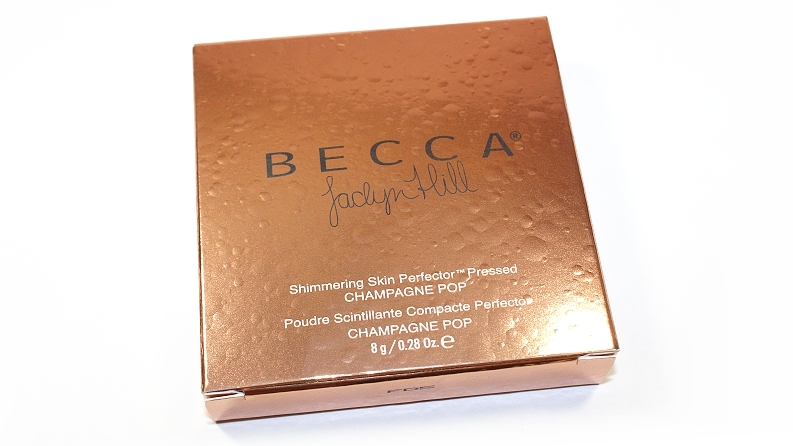 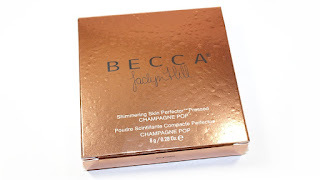 "BECCA collaborated with YouTube beauty celebrity and makeup artist Jaclyn Hill to create a new limited-edition shade of their number one bestselling luminizer powder. 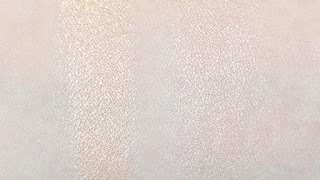 Featuring her dream shade, Champagne Pop—a soft white, gold shade with pinky peach undertones—this creamy luminizer leaves the skin with a soft pearlized glow. 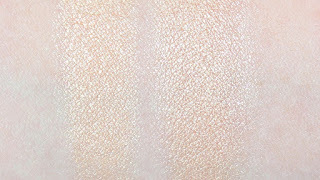 It’s infused with light-reflecting pearls that beautifully catch the light, allowing your favorite features to pop. 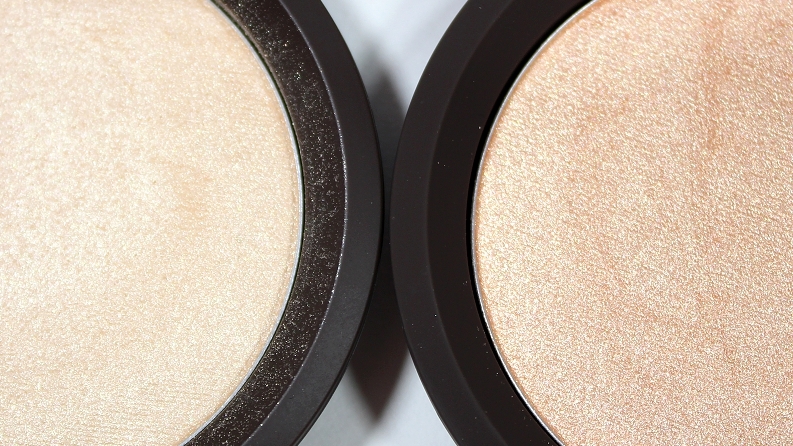 Just apply to targeted areas, or simply sweep it up on the cheekbones and down the bridge of the nose for quick, radiant perfection." 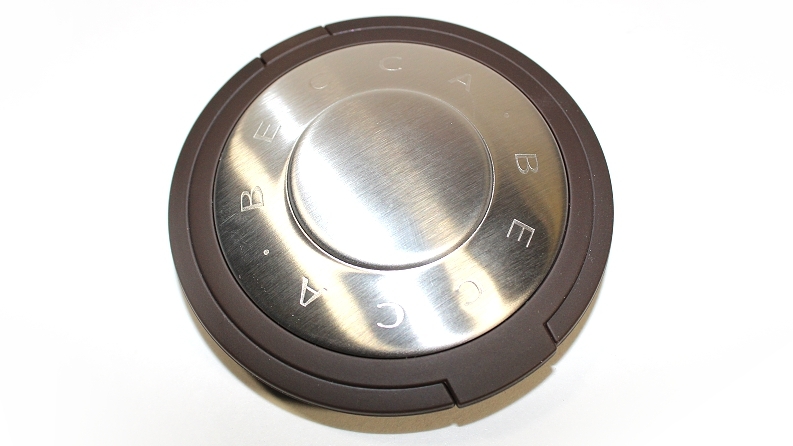 The packaging is a round compact with a silicone texture and features a mirror. The compact itself feels very slim and durable in the hand, but the product itself is quite delicate. 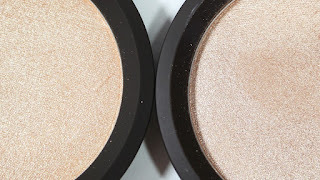 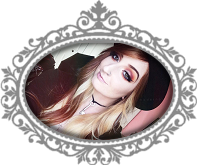 Whether you like a strong sheen highlight, a subtle natural finish or you're looking to achieve the newest "strobing" trend, this product is great at achieving either. 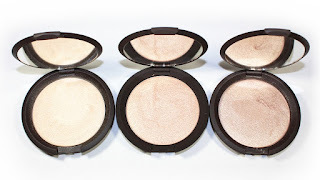 These highlighters are best applied using a fluffier brush, like a fan brush, to ensure you won't over apply the color or get an intensely frosted finish that could end up emphasizing pores or imperfections on the skin. 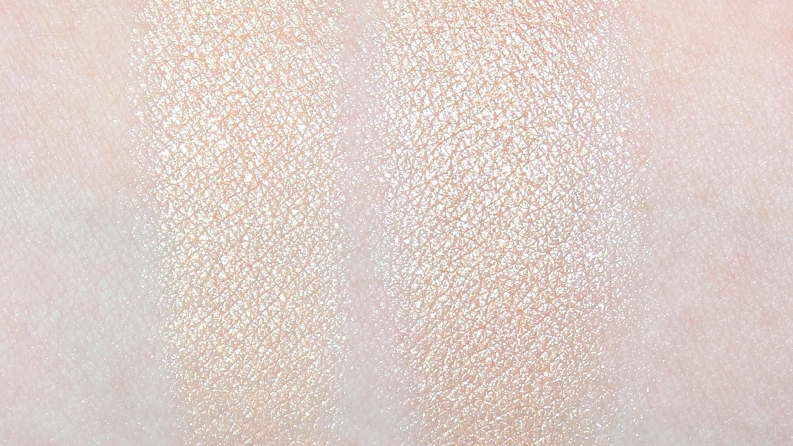 When compared, Becca Moonstone is lighter, brighter and more champagne toned on the skin. 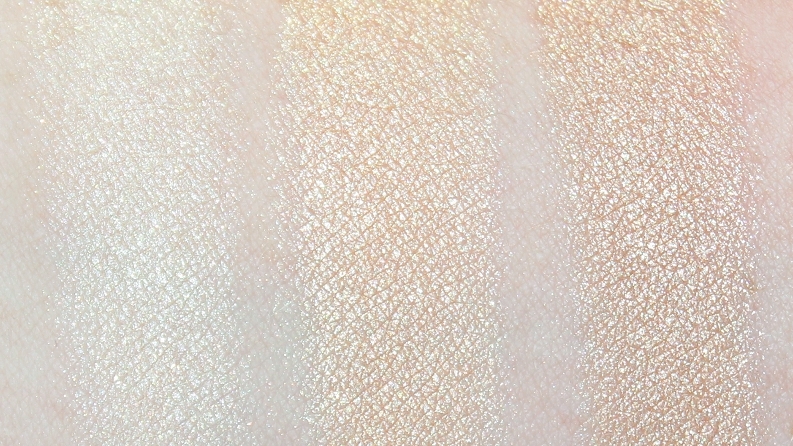 Becca Opal is darker and more gold toned on the skin. Moonstone and Opal mixed together create a perfect, spot on dupe for Champagne Pop. 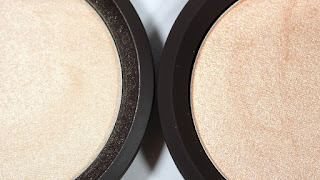 Overall, the performance and quality of Champagne Pop is consistent with the other Shimmering Skin Perfector Pressed shades—they are ultra soft, silky, nicely pigmented and leave an incredible luminous glow to the skin. 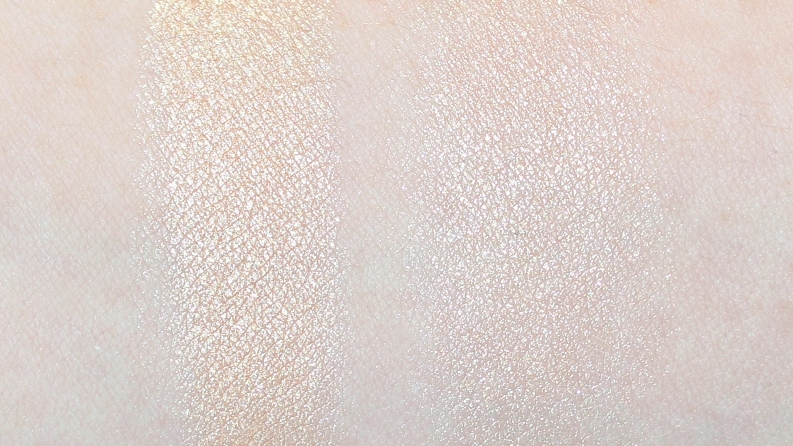 Unfortunately, due to the limited quantity and high demand for this product it seems to have sold out everywhere, but if you happen to own both Moonstone and Opal you can easily achieve this color by mixing the two! 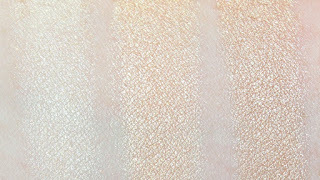 Available now from Sephora ! 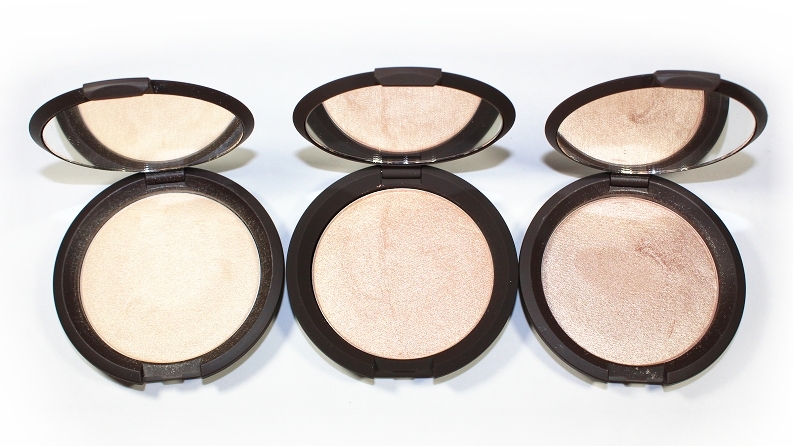 July 2 online and July 16 in-stores.